The first thing that we must ascertain concerning the subject at hand, is just who are the ones that John is writing to and what his original purpose was. Although it is obvious that the Bible has an application to every single person that has or will ever live, the authors of the various books had a particular audience in mind and issues they were addressing when they wrote their letters. In the case of 1 John, John is writing to believers who were encountering what at the time was an incipient form of Gnosticism. Among the primary tenets of this heresy, was the idea that only a select few who had particular knowledge of the inner workings of God’s plan were to be the ones saved. In other words, God had decided that some would have special knowledge that no one else had and it was those people alone who knew the way of salvation. Contrary to what the scriptures teach about the message going out to the whole world (Matthew 28:18-20), the Gnostics believed that they and they alone had been given the privilege of knowing how to be saved. In addition to their “hidden knowledge” (the word gnostic has reference to knowing something that is hidden or secret), another major belief was that the flesh was impure and unholy and that only the spirit mattered. So, the gnostic would say that whatever you did in the flesh had no meaning or consequence, since only the spirit was “real.” The flesh was nothing more than a mirage (this explains why the Gnostics did not believe that Jesus had come in the flesh. If the flesh in and of itself is evil, then the Son of God could not be expected to put on flesh as orthodox Christianity claims). Thus, John is seeking to counteract the two-fold heresy of the Gnostics when he pens his first letter. You no doubt will notice that the theme of Christ coming in the flesh is repeated often throughout the epistle. But now we come to the passage at hand. John has just told his readers that we cannot claim to be without sin. This attacked the Gnostic notion of the inconsequential nature of the actions of the flesh. “If we claim to have no sin,” John reminds us, “we deceive ourselves and the truth is not in us” (1 John 1:8). In one passage, the apostle puts the lie to the idea that we can be sinless in our flesh so long as our spirits are otherwise pure. 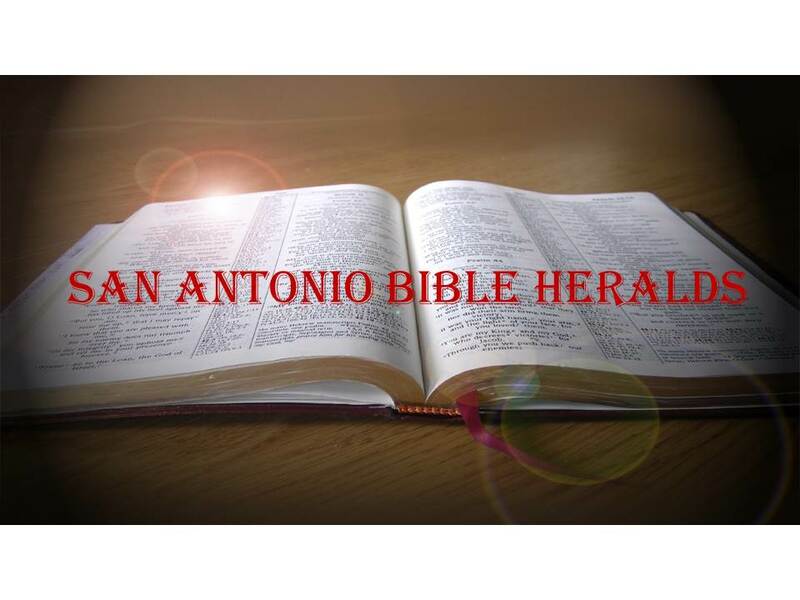 No, says the apostle emphatically, we cannot claim to be sinless while in our body of flesh and if we were to do so, we would not only be liars, but would make God a liar. The implications of such a doctrine are obvious for all to see: God is not a liar therefore we must have sin! That then forms the backdrop for what John continues to tell us in chapter 2. At this point in the letter, his readers may have grown desperate at the idea that they are sinful, especially if they had believed the Gnostic teaching that only a select few were “in the know.” John seeks to assuage those fears by telling them (and us) that, if it is true that we are going to sin, we have an advocate with the Father and that advocate is Jesus Christ. God has not left his people helpless and adrift; He has provided one who will advocate for them and who will do so perfectly since He Himself is perfect now and was the only perfect man who ever lived. The writer of Hebrews echoes these words when he tells us that, because Christ lived as a man, he is able to succor those who fall into divers temptations (Hebrews 4:15ff). Notice that John is not directing this to just anyone, but to the same Christians to whom he warned about not falling for the trap of believing that what they did was of no consequence. But now the apostle moves on to the other major claim of the Gnostics: only those “in the know” will be granted the ability to be saved. What is the antidote to such thinking? The fact that Jesus is not only the propitiation for our sins (those of the group to whom John is writing, who were Jewish in nationality), but also for those of the whole world (the gentiles and all those who, in the words of Peter, “are far off” [Acts 2:39]). Thus, John wants his readers to understand that Christ didn’t pay the price for the sins of Jewish believers only, but also those of the Gentiles who would come into the fold, His “other sheep.” As I mentioned in the previous article, if we are to make of this some sort of universal atonement, then the construction of the passage forces us to become universalists for all those for whom Jesus paid the price for their sins will be saved. Jesus didn’t pay a partial price or a price that is waiting to be redeemed. 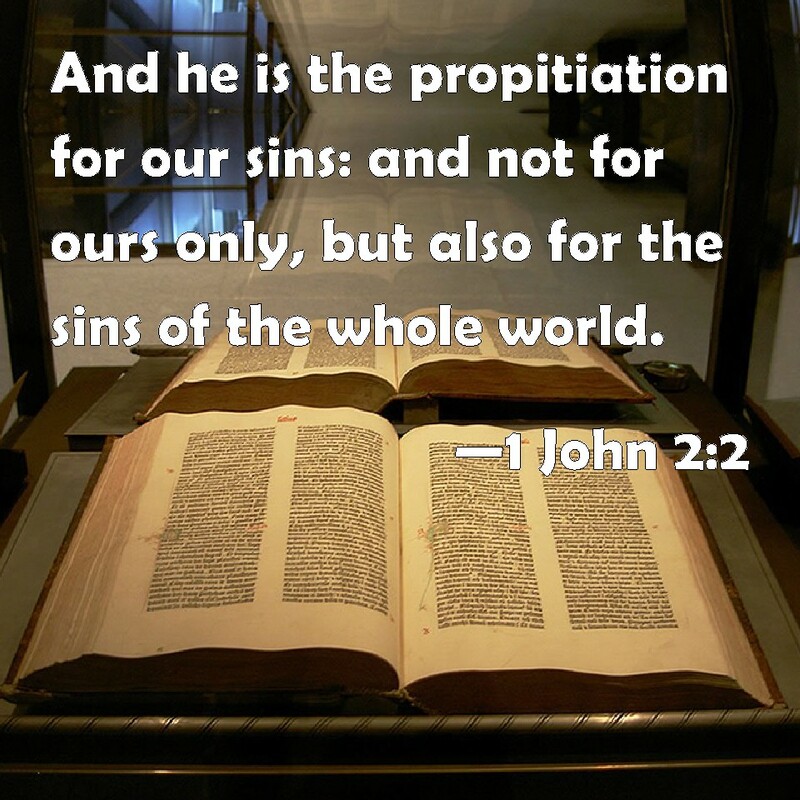 Propitiation carries with it the meaning that the sins have been propitiated, in other words, the wrath of the Deity has been appeased and satisfied. If that was done for every single person in the world, then all will be saved. The implications are inescapable. Further light can be cast on this subject by considering what the writer of this letter wrote in another one of his works. 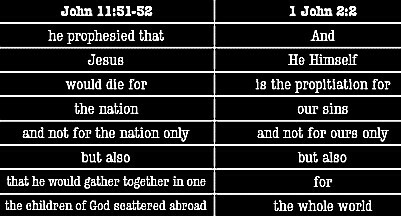 Notice the chart below as it compares two of John’s writings to each other. 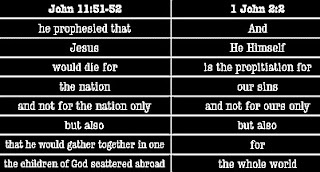 You will notice an undeniable similarity in the language used and the fact that John is setting forth the same idea in both passages. And don’t miss the fact that John makes it clear that Jesus was to gather together “the children of God” who were scattered, leaving no doubt as to who the author means. In light of the above, it is unfortunate that so many insist on simply making a declaration that “world means world” and that’s all without giving any thought to the truths I have just outlined. Take for example a sampling of Arminian commentators on this passage. “The phrase, ‘the whole world,’ is one which naturally embraces all men; is such as would be used if it be supposed that the apostle meant to teach that Christ died for all men” (Albert Barnes). “This verse also dismantles the Calvinistic view of limited atonement—that Jesus died only for those predestined to eternal salvation” (Gerald Paden). “Augustine and the Venerable Bede offer the interpretation that the “whole world” equal the elect church dispersed throughout the world, which Calvin seconds. But see 2 Peter 2:1: The Lord bought even those who go to hell. ‘The whole world includes all men who ever lived or will live.” (RCH Lenski). One thing you should quickly notice here is that the commentaries I just cited assume that “world” means every single individual without exception and on that basis, they go about presupposing the meaning of the passage. Notice also that they make little in the way of an effort to deal with the Reformed understanding of the passage (other than to mention it, if at all, in passing) or to exegete the passage as a whole in its context, both historical and scriptural. In the final analysis, however, if we study this passage correctly, we will find that the assumption that the Arminian makes is not well founded. Thus, to simply mention it as though its mere mention proved their point, is erroneous and lazy. One wonders why the world here means a limited number of individuals and not every human being on earth, but when it comes to salvific truth, the word "world" has to include not only everyone alive at NT times, but everyone who ever lived?